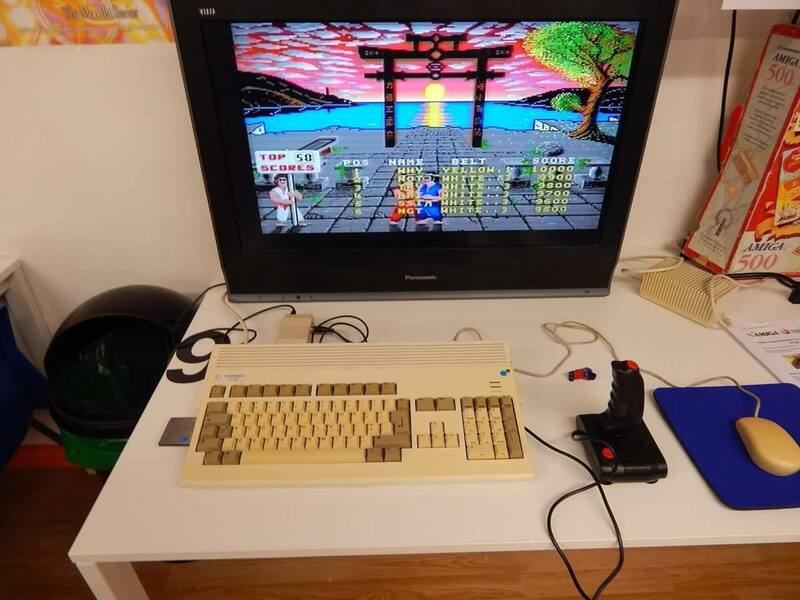 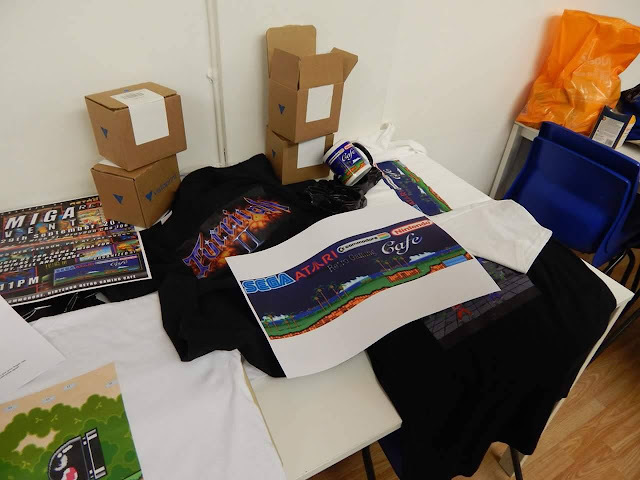 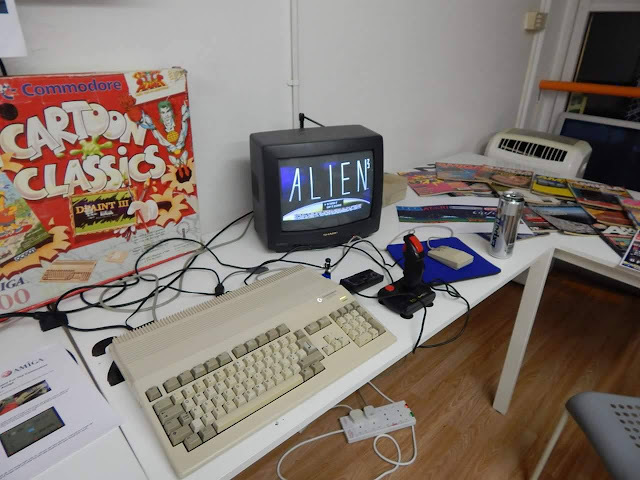 After all our write ups and social media chatter, Playnation Games on the 29th September celebrated the best of the Amiga with its own Amiga Retro Event. 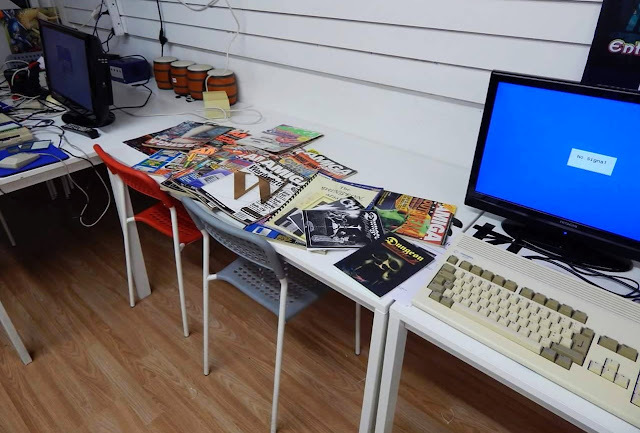 Sadly however Indie Retro News was not there due to a number of unforeseen circumstances, hence these photo's given to us by permission instead. 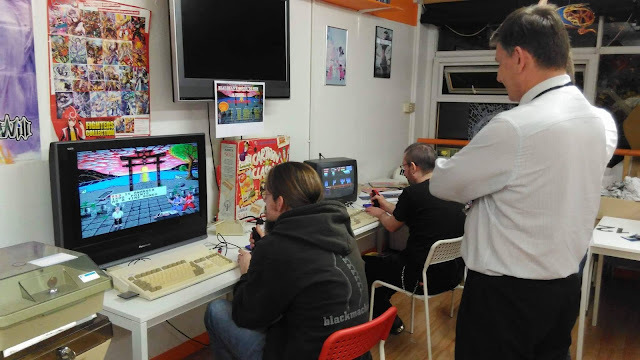 Still from everything Chris Palmer has told us via the Sega, Atari, Commodore, Nintendo RetroGaming Cafe Facebook Group, after putting his heart and soul into organising at Playnation, it went rather well! 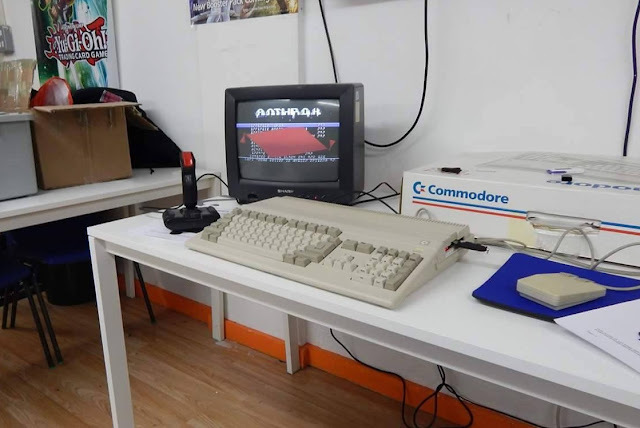 Right from the word go, we were always told you could play Amiga games on original Amiga hardware, with some of the hardware up for play having tasty mods such as Goteks. 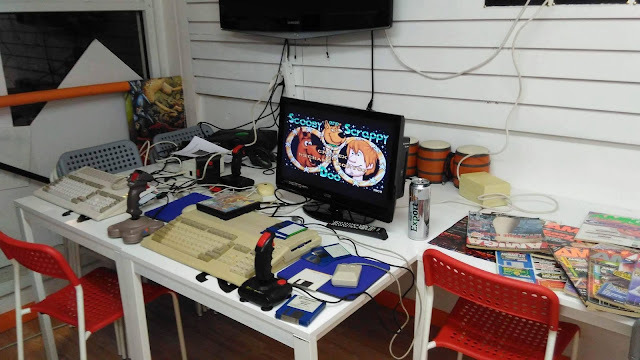 Sure enough, Chris Palmer was happy to provide and he went out of his way to build such a set up as can be seen in the picture below. 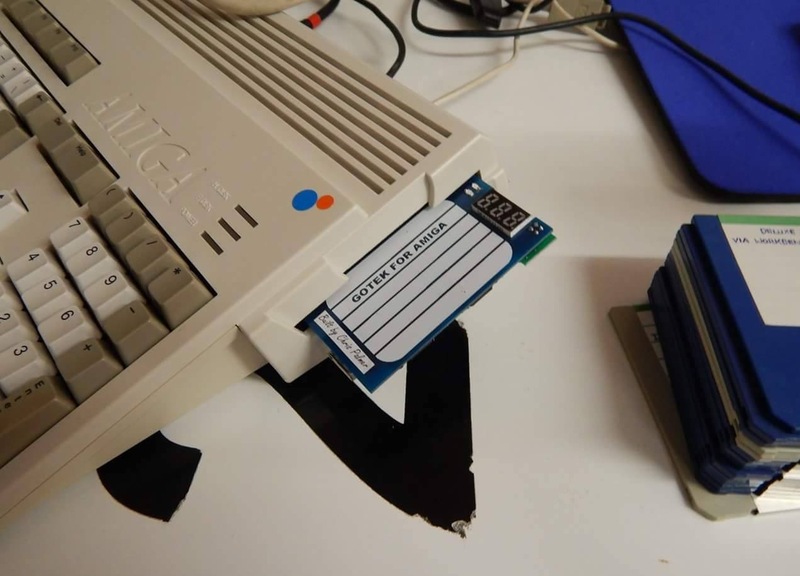 If large disk like devices sticking out of the side of your Amiga 1200 was not to your liking, there was always the internal one in the A600. Both fit for playing lots of lovely Amiga disk game files without the need for struggling to find a real working floppy disk. 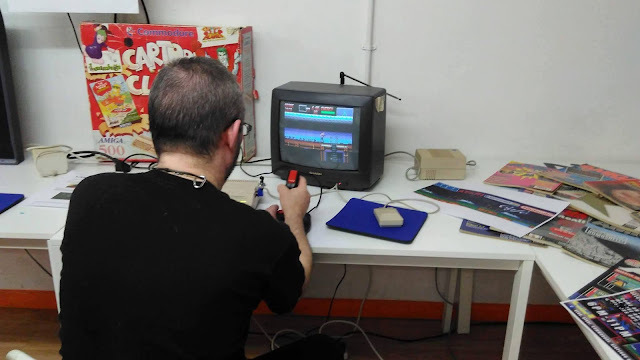 So what about the games? Well there were certainly games to play, and one of those games which was a bit of a high point was the excellent IK+. This top quality fighting game ended up being a bit of a challenge to those who would be willing to pick up a joystick for a quick round. 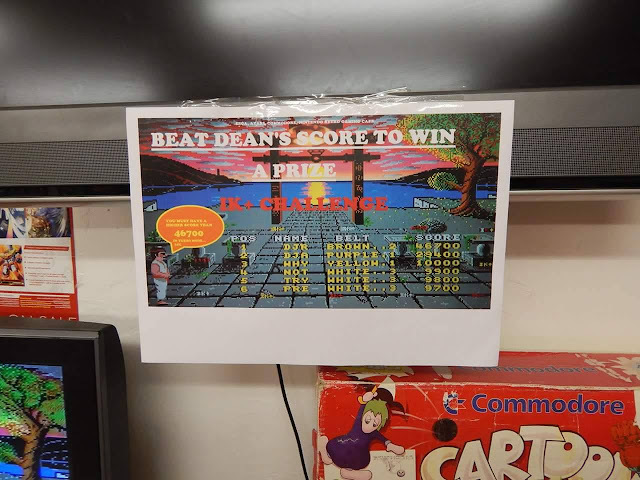 As not far away was a leaderboard and anyone who could beat Dean's score, would win a prize. Overall this Amiga event at Playnation Games came across as such a blast to be at, and going by many of the happy faces in the photo's it looked as if other people had a damn good time too. 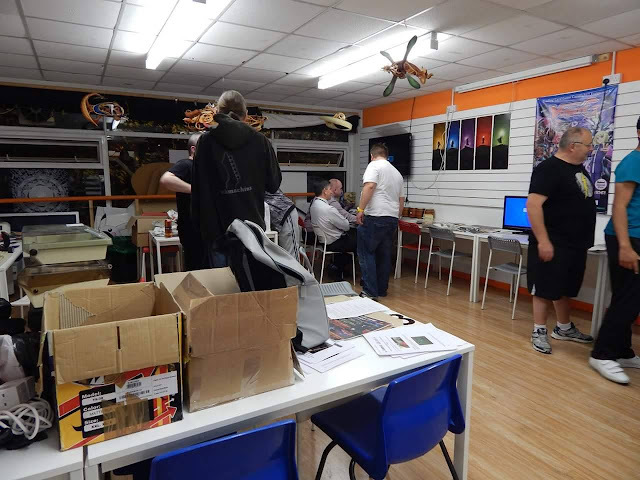 Oh and if you ever wondered what that funny smell was upstairs, it wasn't Chris's toast being burned, but two power supplies that blew up shortly before the event was to begin. 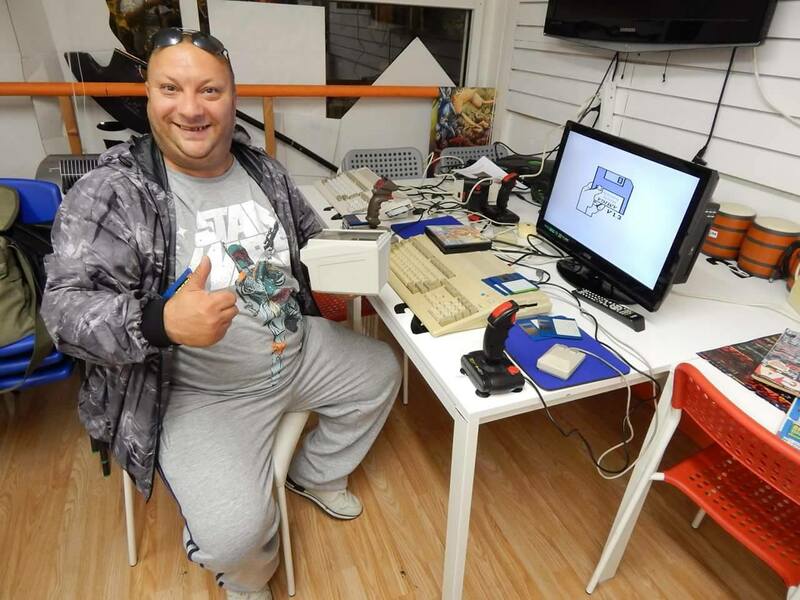 Now that's out of the way, i'll leave you with the rest of the photos and a quick thanks to everyone who was involved in keeping the Amiga alive.